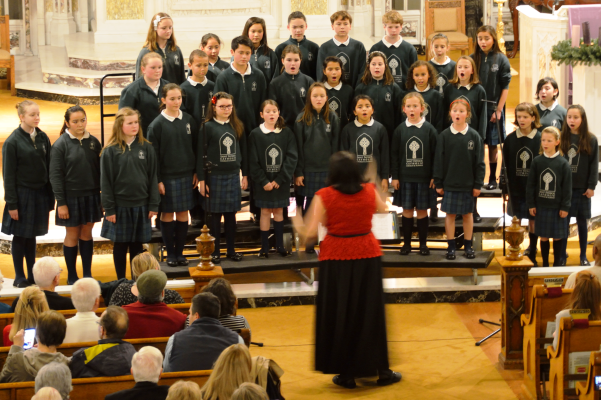 St. Pat’s is proud of its outstanding music program. In addition to core classes such as math, science and English, we offer a variety of music classes and programs to all students from pre-kindergarten through 8th grade. Starting in pre-k, students participate in a five-year general music program that continues through 3rd grade. 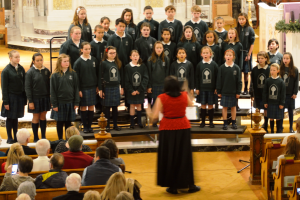 Choir and band are exciting musical opportunities available to all students in grades 4-8. Musical theater (drama) is a fun after-school opportunity also open to students in 4th through 8th grades. Many of these students are involved in multiple groups and the experience they gain is invaluable.